Salomé, Salomé, dance for me. I pray thee dance for me. I am sad to-night. Yes, I am passing sad to-night. When I came hither I slipped in blood, which is an evil omen; and I heard, I am sure I heard in the air a beating of wings, a beating of giant wings. I cannot tell what they mean .... I am sad to-night. Therefore dance for me. 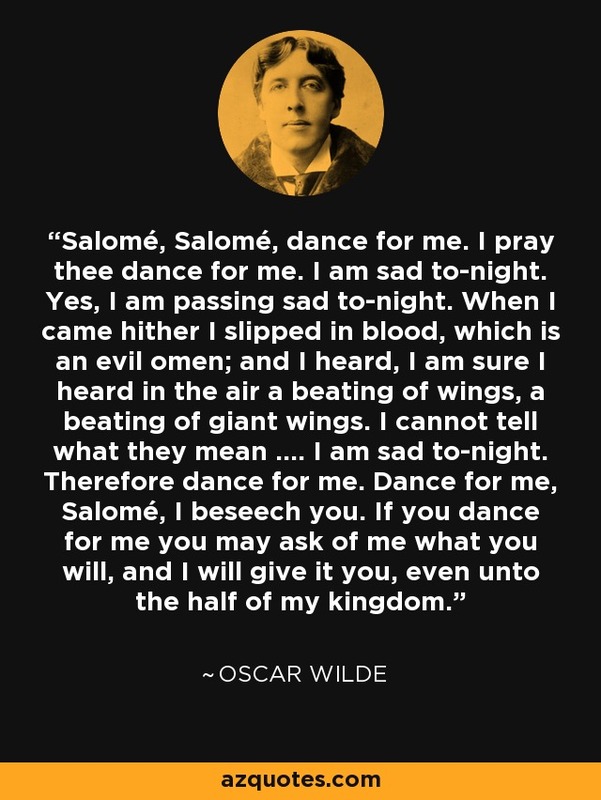 Dance for me, Salomé, I beseech you. If you dance for me you may ask of me what you will, and I will give it you, even unto the half of my kingdom.